HAPPY 2nd Day Of Summer! 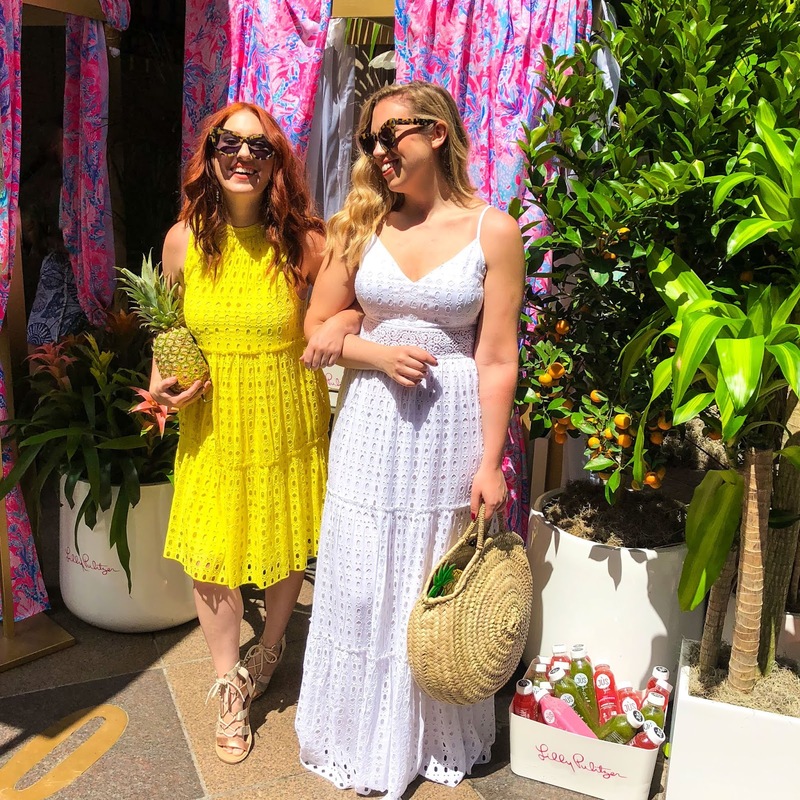 Jackie and I spent the 1st day of summer trying on dresses and taking pictures in front of the Lilly Pulitzer Madison Ave store while sipping on juice. 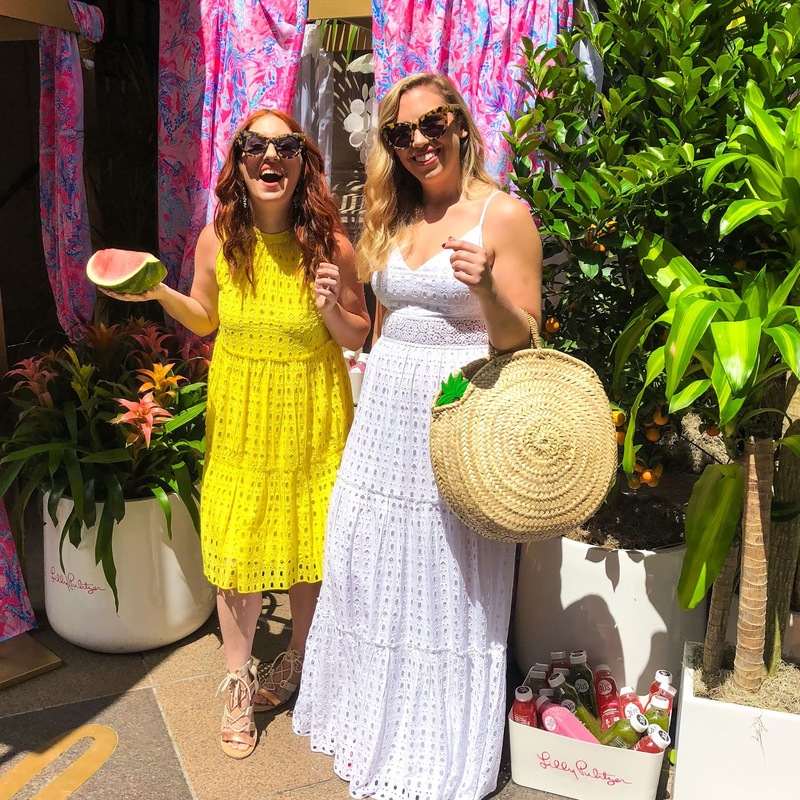 It was kind of amazing and ridiculously hard to play favorite with Lilly's summer selects. We finally narrowed it down to these two eyelet beauties and we're not looking back. Though, I need Jackie's maxi too because it is amazing! 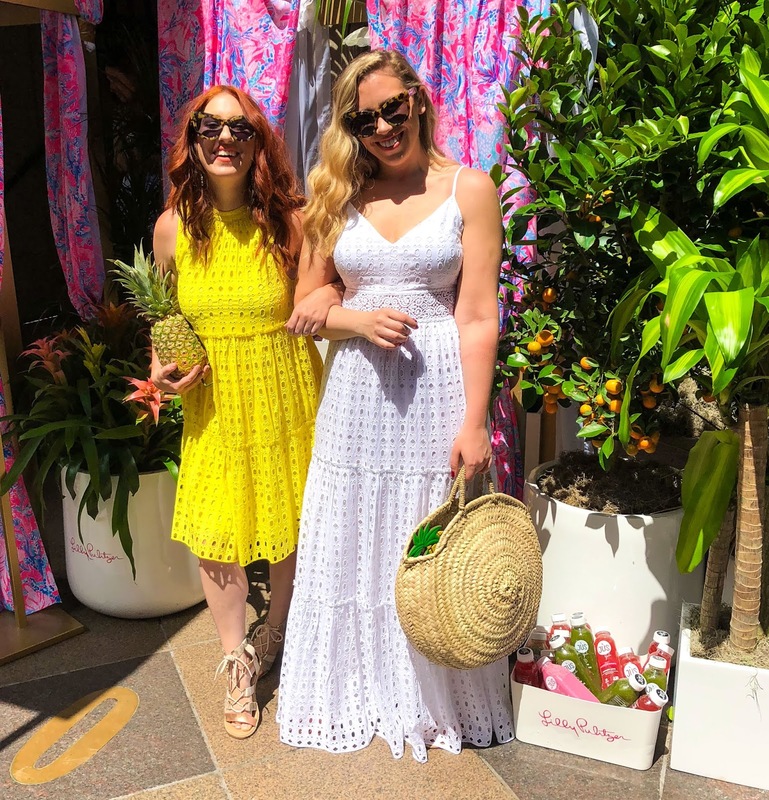 So with summer styles and eyelet in mind we're sharing our favorite 25 eyelet styles, including these two gorgeous dresses, for today's post! Which is your favorite?